Despite an Oct. 1 deadline for U.S. merchants to accept secure chip-enabled credit and debit cards, experts believe it will take years for the conversion. 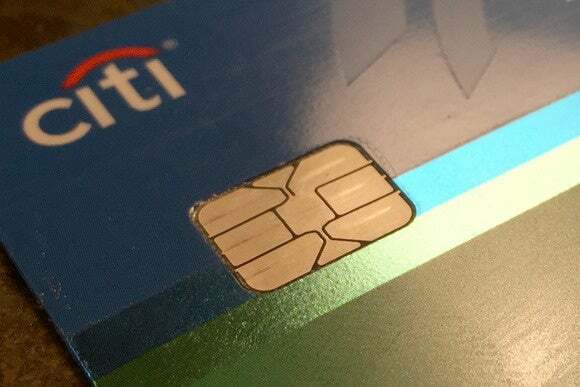 "Realistically, we should expect the adoption of chip cards in the U.S. to take a few years," said Avivah Litan, an analyst at Gartner who has been following the conversion for a decade, in an interview this week. Oct. 1 is the deadline for merchants to begin using newer point-of-sale terminals to accept chip cards. Meanwhile, banks are steadily sending chip cards to millions of customers as replacements for magnetic stripe cards. Chip cards are more secure than the older technology, and the U.S. is one of the latest countries to make the conversion. If merchants fail to meet the Oct. 1 deadline, they will be liable for financial losses due to card fraud. If a bank fails to provide a chip card to a customer, the bank will likely be liable, assuming a merchant has updated the terminal needed to read a chip card, analysts explained. "The liability shift deadline is just a soft incentive to make this chip card adoption happen," Litan noted. "My estimate is that it will take at least two more years for the majority of transactions in the U.S. to be 'chip on chip,' which means a chip card is inserted into a chip-accepting terminal." Litan said that merchants will widely accept both magnetic stripe cards and chip cards for the next three to four years. That means that even if a bank has failed to provide a chip card to a user, a magnetic stripe card will work almost anywhere in the U.S. where it had previously been allowed. "Merchants don't want to deny sales until they are confident that in most cases, the consumer presenting a mag-stripe card can alternatively present a chip card," Litan added. "Mag-stripe readers will not be discontinued until 80% to 90% of cards coming into a retailer are chip cards. Again, no one wants to turn away a sale." The situation facing consumers will be far different in many other countries outside the U.S., especially in Canada and Europe, where chip cards are already in widespread use. In the UK, for example, it is nearly impossible to find a retailer who will accept a magnetic stripe card. "That's because chip cards for UK residents are essentially ubiquitous, so UK merchants have no interest in accepting a mag-stripe transaction that has a strong possibility of being a fraudulent or counterfeit card where they will be financially responsible for fraud," Litan explained. Part of the reason the U.S. lags behind other countries in converting to chip cards is that magnetic-stripe card fraud was not nearly as widespread in the U.S. 15 years ago when Europe was facing a far bigger fraud problem, analysts said. The situation has changed in recent years, and the U.S. is making the shift to chip cards to reduce the financial losses faced by banks. Major U.S. banks have been sending chip cards in increasing numbers to consumers for the past year, but a recent survey of 5,027 Americans found that 54% hadn't received a chip card from a bank as of August. The survey also found that 56% surveyed didn't know what a chip card is, and only 51% said that the chip technology would make them feel more secure. Several analysts have said that introducing chip cards during the coming holiday shopping season could cause delays and lines at in-store payment terminals. It takes a few seconds to read a chip card, once inserted into a terminal, which makes it a bit slower than swiping a magnetic strip card. Plus, some clerks won't know how to explain the change in procedure to customers, analysts predicted. Many terminals will be equipped to allow users to touch or nearly touch the chip card to the terminal to authorize a payment. That would be similar to using a smartphone or smartwatch equipped with near-field communication technology to authorize a payment from a mobile payment app. Some analysts have compared the concerns over the U.S. chip card conversion to the anxiety that developed prior to the Year 2000 conversion that affected nearly every computer globally. Of course, the U.S. chip conversion is considerably smaller in scale. In the Y2K example, work was done by major institutions and governments for years in advance to replace the two-digit field used for representing a calendar year with a four-digit field. That work, with a few exceptions, led to a nearly seamless advance by computers to dates on the morning of Jan. 1, 2000. Some analysts have said that in a similar fashion, nothing dire will happen if Americans don't suddenly start using chip cards on Oct. 1. In fact, average card users were never going to be liable for card fraud after Oct. 1, according to repeated statements by banks. Banks have said that customers still need to report a lost or stolen card, however. A big part of the slow rollout of chip cards in the U.S. comes from the sheer size of the conversion. There are about 12 million card readers at payment terminals in the U.S. that need to be converted to accept chip cards, but the payment terminal industry and analysts believe only about half have made the change. Meanwhile, there are about 1.2 billion debit and credit cards in circulation in the U.S. among 335 million residents. Eight major U.S. banks that account for half of the U.S. card volume have estimated that about two-thirds of their cards will be reissued as chip cards by the end of 2015. About 3.4 billion chip cards are in use in about 80 countries, according to the EMV Connection website. EMV stands for Europay, MasterCard and Visa, the companies that originally developed chip cards, which are sometimes referred to as EMV cards.